What formats should you release your music? Out of all the formats available to release your music, which ones are really worth it? Let us go over the ways possible. CD-While CD's are still popular, sales have decreased as sales of downloads have increased. It is now harder to sell CD's then ever before, most people have ipods and mp3 players now so they want instant delivery. Some people still do like a physical CD. True fans of an artist want to have the actual disc and CD booklet. Vinyl-It is surprisingly very expensive to get your music pressed up on vinyl. Plus there aren’t many people that still use vinyl. There are some DJ's that collect and spin vinyl still so it may be worth it for that if you have the budget for it. Data File-Mp3's and other digital formats are the future. 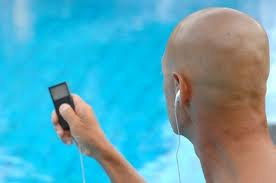 People love the ease of buying music through digital stores and having it downloaded directly to there music player. The only downside is it makes it very easy for people to share these files and steal your music but in general this is the future of music releases. Many artists are starting to offer "digital release" only albums now. It really costs down on the cost of releasing music because it eliminates manufacturing costs. It really depends on how much you are willing to spend!